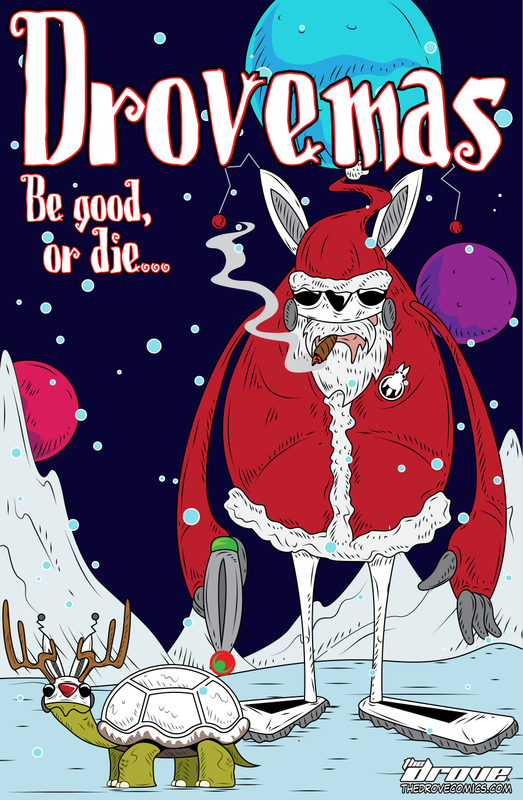 Happy Holidays from The Drove! Happy Holidays friends! We hope you’ve been good! This entry was posted in Official Message from Central Command and tagged christmas, drove, holidays, santa, sci-fi, thedrove, webcomic. Bookmark the permalink.